My valentine craft from last year. DIY tags embellished with letters and other items glued in an old frame that had it’s glass broken. Thanks for being so sweet and liking this. Tags: backyards ( 3 ), dogs ( 3 ), man's best friend, pets ( 3 ), photography ( 69 ), porches, windows ( 3 ), WP phot challengge of the week: "Beyond." Looking out the window and beyond man’s best friend to the porch and our beautiful back yard. I did the wrong week. sometimes I think my blog should be called: A Fail among the flowers. I like it though it grows on ya. Thank you. They are fun. I am so encouraged by you all liking this. I hope to visit blogs on here i have not had the privilege to do yet. Tags: "fire." fire, Cee's Fun Foto weekly challenge ( 45 ), ceiling pan holder, craftworking, diy ( 22 ), Diy ceiling pot and pan holder, diy kitchen, diy solutions ( 2 ), kitchen storage, light on metal, solutions, where to put the pans and pots? The ceiling pot hanger I made to store the pans. The ceiling light looks like a glow of fire in my dim kitchen-like it is night. My camera is a cheapy basic (why so dark) ,but worked well for this challenge. Wonderful photo for this week’s challenge. Thanks so much for participating! Thanks for the challenge to do it with Cee. I appreciate every blog visitor and try to visit all likes. If I do not get to your blog today, hopefully soon. Do not look under the couch. Easier to face a robber. This is way cool!! Thanks so much for sharing your work! Thanks for liking it. Thanks for all the fun you bring to us. Tiny glass cloches illuminate winter scenes on my office desk. Wow thanks for all the likes. Nominated for an Award, but have no clue what I am doing. The logos are so pretty I think. This is the 2nd time I have been nominated for an award on here. The first time my internet server shut me down for over usage-Yes that is all I could get where I live 2 years ago-I was shut down with a penalty for a week. I did not know how long I had to do the follow up and was intimidated since I am new at this. I was afraid that my internet server would mess with me in the middle of pursuing so I just did not do it. This time I am going to go for it. A beautiful blog featuring fashion and help with the use of it for finding the best attire for your bodies shape and colors that look best on you. Plus much more. 1. Display the logos of the awards on your blog. 4. 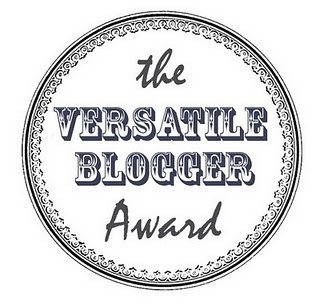 Nominate fifteen other bloggers for this award and link to them. 5. 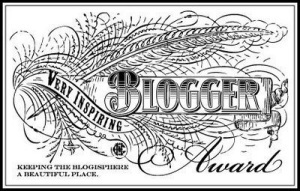 Notify these bloggers of the nomination and the award’s requirement. I love to make things like stuff with clay , painting, out of recycled anything. I am into vintage and antiques. I am extremely disciplined and organized. I love to sort about anything. Into scarves, headband, Jewelry. Throw Christian music and art in the mix. So sweet of you! THANKS! You are welcome catseatdogs Makes and Bakes. When it becomes peril to get to the blog. Mr. Worden, glad you liked it. I am told I should feel better since so many can identify with a for,m of this happening: So you drove to the the town an hour away and got the shopping done for the month? Come home and about 9 p.m., kid’s bedtime you get this: ” I need new basketball shoes for tomorrow’s practice. My old shoes are too small.” At that moment I am not getting warm fuzzes from- the all parents go through this dilemma. Only 300 emails to get to and the message: We can’t connect to Hotmail right now.